Founded in 1906, Ovation Communities is a Jewish faith-based organization, and offers a full continuum of senior living and care options, from independent apartments to rehabilitation and skilled nursing services. Ovation Communities welcomes residents of all faiths. Ovation Communities recently welcomed two new administrators, but one is a familiar face. You won’t find Marlo Graceffa sitting still. In fact, you probably won’t find her in her office. Since becoming Executive Director at Sarah Chudnow in August, she’s spent most of her time among the residents and their families. Serving them lunch, talking about their days, finding out what’s going well and what could use improvement. The knowledge and breadth of experience within Ovation’s HR department has allowed Graceffa to take on the additional position. The team is led by Colleen Rhodes, Lead HR Business Partner. Holding a variety of leadership positions across the human resources and health care industries, Graceffa has nearly 20 years of experience. She has a bachelor’s degree in business management from University of Phoenix. Lindsey Henschel likes to say she grew up in a nursing home, so to speak. 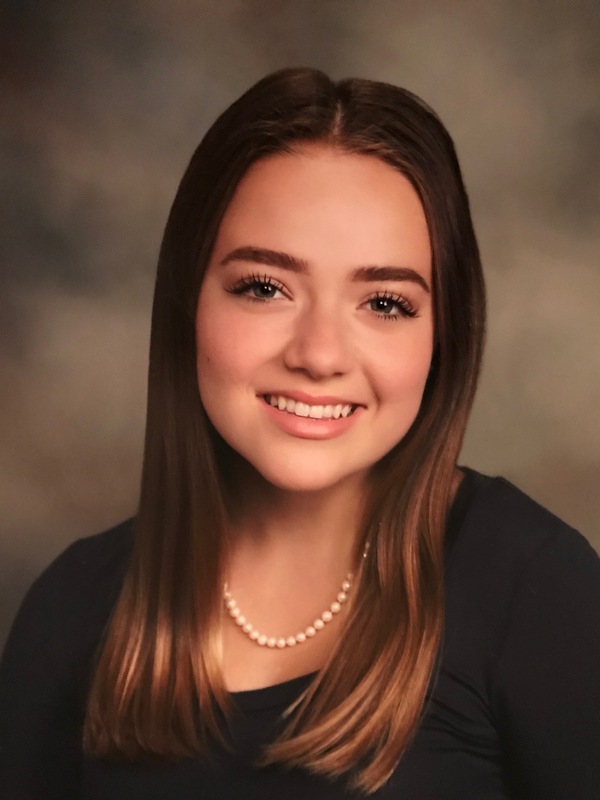 Both her father and grandfather were senior living administrators, and she spent much of her childhood shadowing their careers. 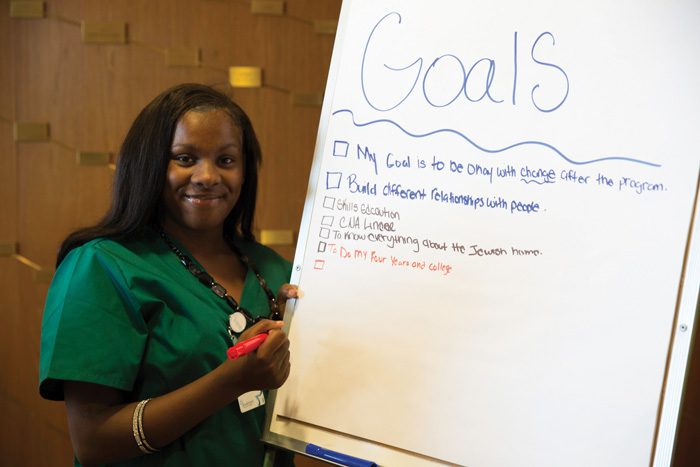 At 18 she took her first job as a resident assistant and never looked back. She had found her passion. Henschel has a particular interest in Alzheimer’s and dementia and is looking forward to building upon the great history of care and innovation the Helen Bader Center is known for. 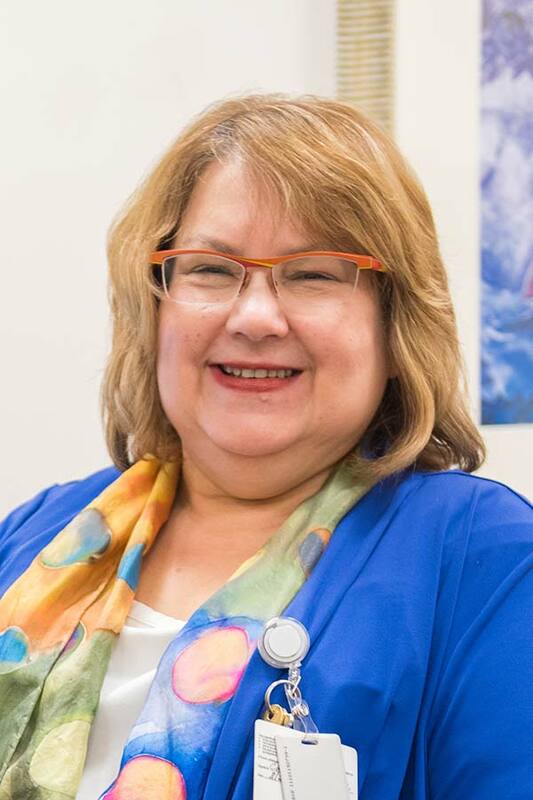 She has an associate degree in business management from Purdue Global and a bachelor’s degree in health care administration from Mount Mercy University in Iowa. She has in-depth knowledge of the industry from a variety of perspectives, with nearly 15 years of experience as a CNA, in-home caregiver and administrator. In her spare time, Lindsey enjoys outdoor activities, fishing, shoes and shopping. She lives in Pewaukee with her three children. The post New Faces, New Places appeared first on Ovation Communities. We all know how soothing a warm blanket can be. They are widely used in the healthcare industry during hospital stays and emergency transport to comfort patients. But could they be used in a long-term care setting to change pain, agitation, mood or medication use? Director of Research Dr. Christine Kovach and her team set out to find out. Noting there was no known published data surrounding the topic, the research team began implementing a quality improvement project in August to test their hypothesis. 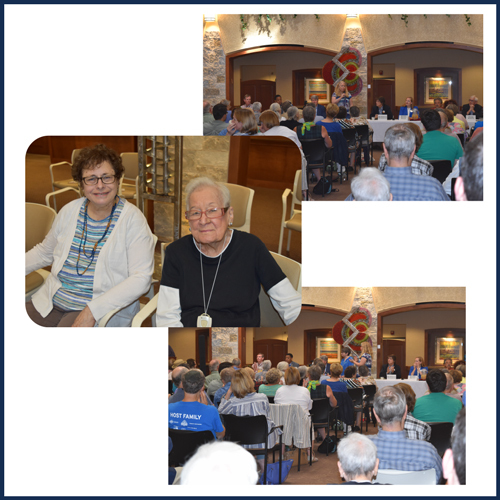 Care teams at Ovation Jewish Home offered residents warm blankets as a possible first-line solution for pain and agitation. Nearly a quarter of residents received a warmed blanket over the one-month study period. For Kovach, the results were astounding. Three indicators of pain — number of pain complaints, severity of pain, and the number of non-scheduled analgesics given for breakthrough pain — all decreased over the month for those who received the blankets. “The fact that three measures were so affected is really thrilling,” said Dr. Kovach. Hand in Hand funded the purchase and installation of the blanket warmers. A research paper outlining project results has been submitted to Pain Management Nursing for possible publication. The post Research Update: Warm Blankets as Possible Treatment Alternative appeared first on Ovation Communities. Before volunteering at the Jewish Home, my only other experience with seniors was the home my grandmother lives in back in Illinois. I was used to seeing seniors in their rooms, keeping to themselves, and that’s what I expected. However, what I saw within Ovation Communities was quite the opposite. I experienced an overwhelming sense of community and mutual respect between the staff and residents. At my grandmother’s, there is a lack of the human interaction that the Jewish Home has. I have noticed the friendships between the residents, and it made me so happy to see seniors in such good moods. I know that’s not always the case, but I was surprised when I noticed that. When I would volunteer, I noticed how friendly the residents were to me and each other. One surprising thing I have learned about seniors is they act a lot younger than they look. One of the residents mentioned to me that he still feels 20 years old on the inside, it is just the body that has aged. And I have noticed that. Their senses of humor knocked me off my feet. I wasn’t expecting to laugh as much as I did. I also learned about the importance of human interaction. That is what keeps life exciting. As one gets older, different things are prioritized. Material possessions become less important, and conversations, or simply just spending time together means the world to them. I tell my friends and family that going to volunteer is always the highlight of my week. I want all of them to know how enjoyable it is to be around seniors. They truly have so much to share with me because they have a whole lifetime of experiences. Some things I could never imagine going through. They are the generation that should be valued for their worth, not forgotten. I think some people are turned off because they believe there won’t be anything to talk about, or seniors are boring. I have experienced the opposite. I love hearing stories about the “olden times” and seniors truly love telling stories. To see how some of their faces light up when they talk about their childhood friends, or especially their grandchildren, warms my heart. laughing so hard with some of the residents, I now consider them my friends. I have also learned some things about the Jewish culture, besides Kosher. I grew up Catholic, and something I found quite universal is sense of family. All those who I have interacted with have a strong sense of family. Even those whose family members don’t come visit often seem to believe family is of strong importance, which is what I believe as well. The Jewish culture is very accepting and inviting, and although I am not Jewish, I feel completely comfortable and accepted here. The post Student Volunteer Speaks of Her Experience appeared first on Ovation Communities. In December, Ovation Communities celebrated the completion of a new Torah for the Kohl Family Synagogue at Ovation Jewish Home. The Torah comes at a time of great need with the previous Torah being too heavy to carry during weekly Shabbat services and special Jewish holiday services. This joyous occasion brought together community members from all generations. It was wonderful to receive so much support for the momentous occasion. There was music, dancing, and excitement — truly a magnificent event! 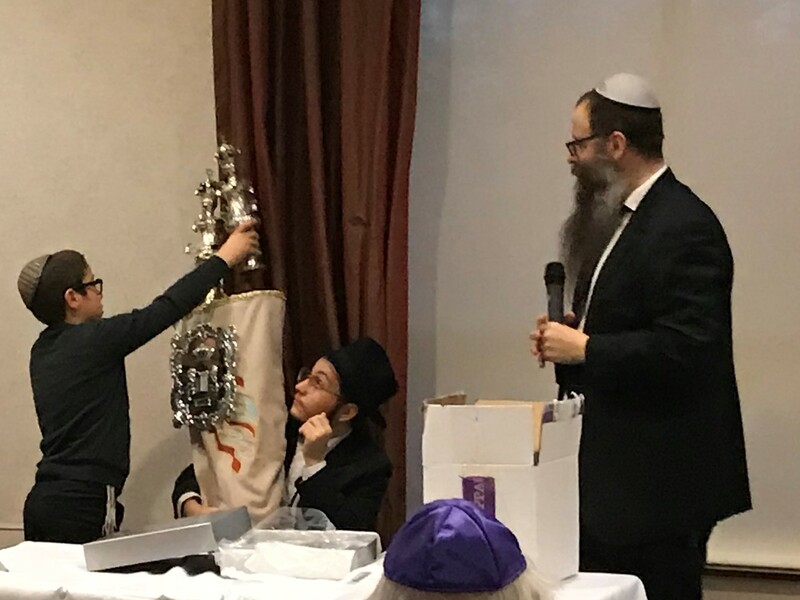 The post Grand Torah Celebration Recap appeared first on Ovation Communities. Just five years ago, the concept seemed impossible. As the long-term care industry faces a workforce crisis, it’s been seeking a solution to the problem that will last years to come. Today, a first-of-its-kind Geriatric Career Development (GCD) program at Ovation Communities is addressing the issue, and at the same time, helping local at-risk students attend college and secure job opportunities. Through LeadingAge Wisconsin’s Research & Educational Foundation, Ovation was selected as the pilot site to launch the innovative new program. 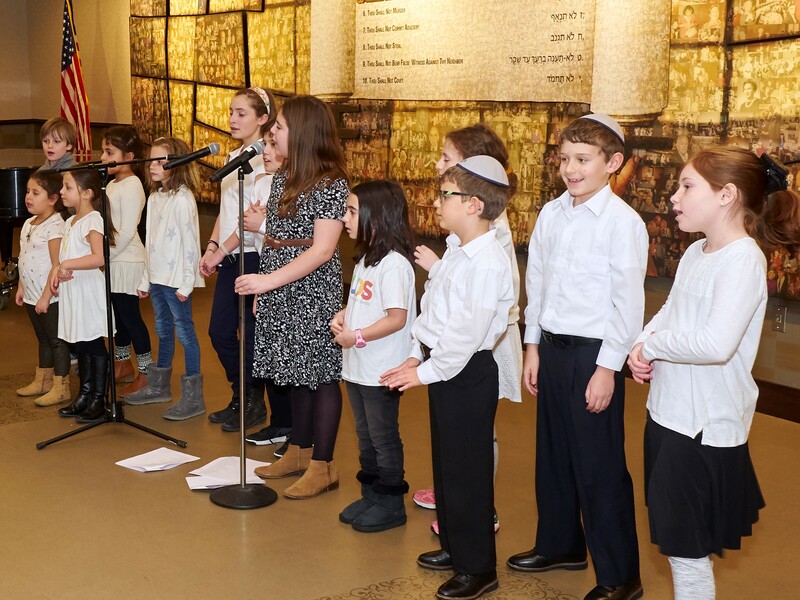 Modeled after a successful program at The New Jewish Home in New York City, its vision is to inspire youth and create the next generation of healthcare professionals. The need for personal care workers is on the rise, yet today the average caregiver vacancy rate in Wisconsin nursing homes is at 19 percent. GCD helps address these critical gaps in our workforce. The program is also aimed at helping at-risk students and addressing Milwaukee’s lower high school graduation rate, which was 60.9 percent in 2016. Program leaders hope it will help close the education achievement gap and serve as a critical resource for students coming from challenging socioeconomic backgrounds. Job opportunities through Ovation Communities and other long-term care providers in Milwaukee are available to student program participants. The program saw promising results at The New Jewish Home, where in 2017, 100 percent of participating students planned to attend 33 unique colleges. The students were offered $1 million in combined scholarships, and two of the students received full scholarships. Some residents and participants even attended the same high schools, with participating schools including North Division High School, James Madison Academic Campus and Washington High School. If you’re passionate about this program and would like more information or want to get involved, contact Michael Sattell at msattell@ovation.org. The post Developing the Next Generation of Healthcare Professionals appeared first on Ovation Communities. There’s no better way to bring different communities together than through song. Ovation Sarah Chudnow demonstrated this at its annual Interfaith Choral Concert in Posner Town Square, when 120 singers from different religions and nine different organizations shared a stage for an evening of music and merriment. At the concert, each group sang three songs separately and together sang the grand finale, “Michael Row the Boat Ashore.” For the first time at the Interfaith Choral Concert, a combined choir of Christians and Jews, North Shore Congregational Church and Congregation Emanu-El B’Ne Jeshurun, performed a set of songs together. 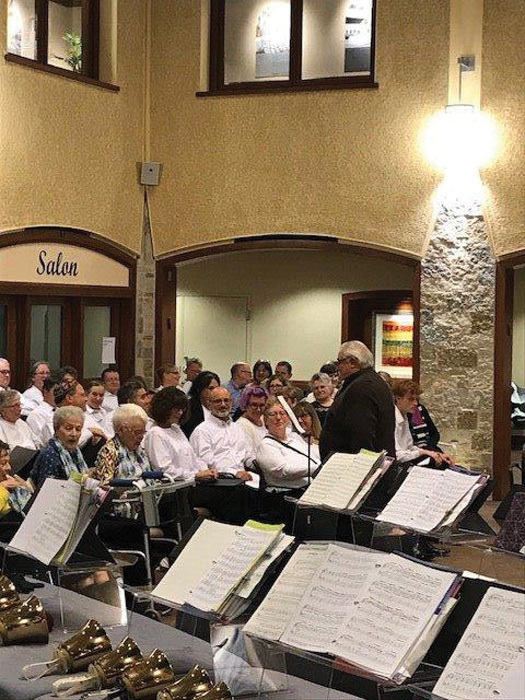 The annual concert started nine years ago when Larry Ladin, Rehab Admissions Coordinator for Ovation Sarah Chudnow and organizer for the event, wanted to find a way for residents to perform for others and get the larger community involved. “It’s been a great way to expose our residents and the other groups to the community, and it’s fun to see the camaraderie with the different religions,” said Ladin. This year’s participating groups included Grace Lutheran Church, Good Shepherd Catholic church, Crossroads Presbyterian Church, combined choirs North Shore Congregational Church and Congregation Emanu-El B’ne Jeshurun, Milwaukee Jewish Community Chorale, Congregation Shalom, Congregation Beth Israel Ner Tamid and Sarah Chudnow Glee Club. The concert is open to the public and always draws a large crowd of family and friends. The post What’s Happening at Sarah Chudnow appeared first on Ovation Communities. Ovation Communities hosted its annual Golden Alliance Dinner in August at Ovation Jewish Home’s Monya’s Garden, where members enjoyed an elegant evening and learned about new programs that are positively impacting the community with the help of Ovation’s donors. This year’s dinner showcased Ovation’s new Geriatric Career Development (GCD) program, and featured guest speaker John Cruz, director of the GCD program at The New Jewish Home in New York, which is run as part of a workforce development initiative for underserved youth. 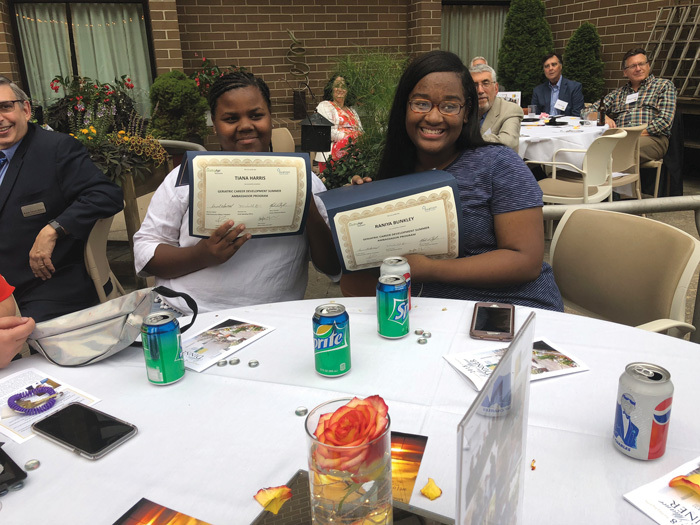 At the Golden Alliance Dinner, completion certificates were presented to two students in attendance who participated in the GCD Summer Ambassador Program. Ovation is thankful for the Golden Alliance members who make aspirations like this possible. Golden Alliance Membership is an annual unrestricted giving program, vital to the ongoing operation of Ovation Communities, run through the Jewish Home and Care Center Foundation. Since 1992, members of this special and important group have played a significant role in providing residents with the best facilities and care. A new donor wall listing the Golden Alliance members will soon be unveiled. The post Thank You to our Golden Alliance Members appeared first on Ovation Communities. This fall, residents, families, employees and supporters across Ovation Communities and beyond have been involved in a very special, once-in-a-lifetime initiative. 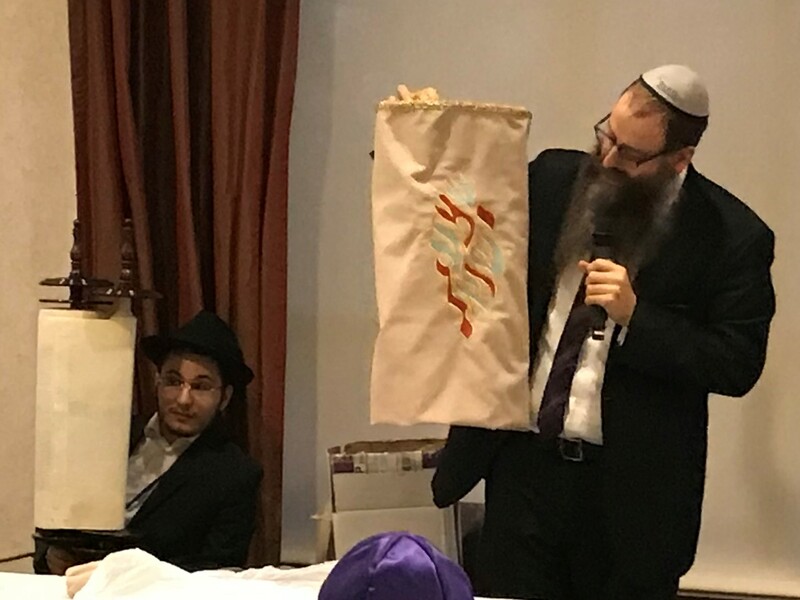 The organization has had the unique opportunity to commission a new Torah for the Kohl Family Synagogue, under the guidance of Rabbi Levi Emmer and Rabbi Steve Adams. 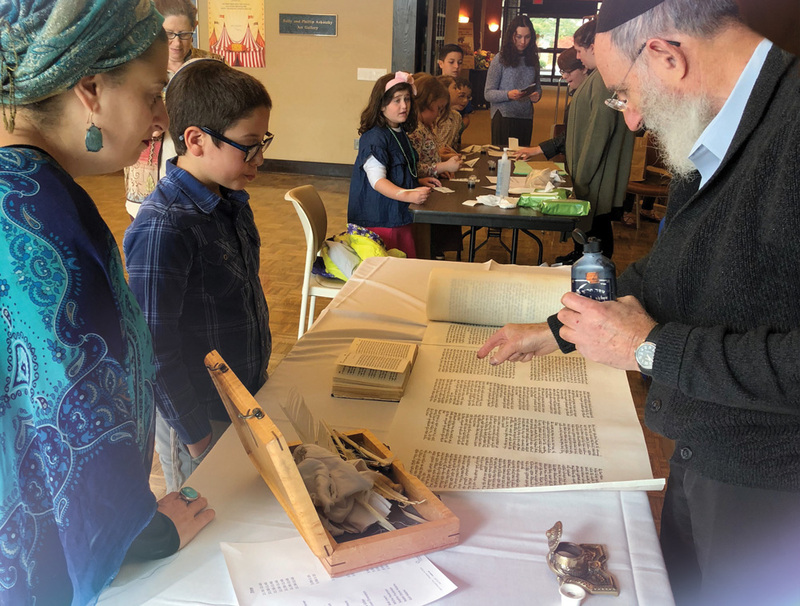 To further celebrate the milestone, a Torah Art exhibition filled with related artifacts traveled to Ovation Communities from Congregation Emanu-El B’ne Jeshurun. Residents and families also participated in a holiday concert and lively Torah Fair. Everyone is welcome and invited to celebrate the new Torah. 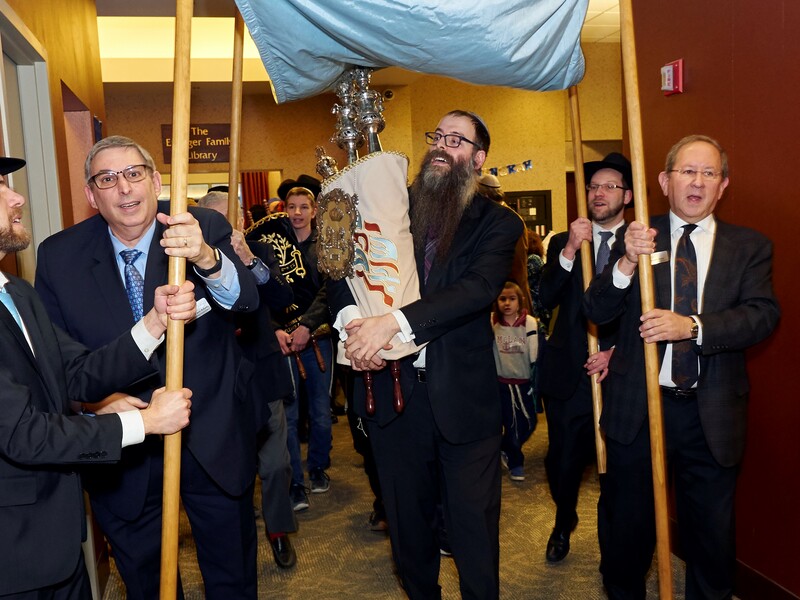 A Grand Torah Celebration will be held December 9, as the piece is welcomed into its new home. The event will kick off with a final lettering opportunity, followed by a processional escorting the Torah from Ovation Chai Point to Ovation Jewish Home under a chuppah. The entire community is welcome for a Chanukah lighting ceremony, food, entertainment and celebration. 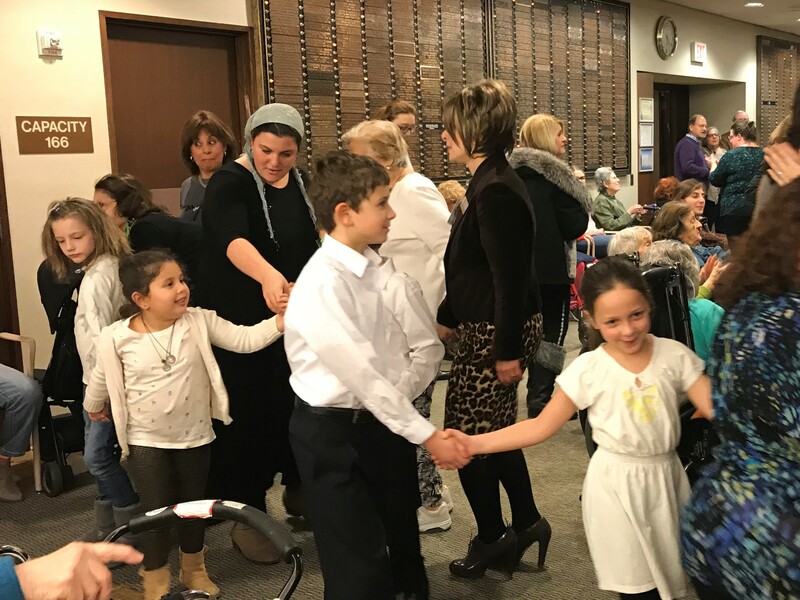 “The Kohl Family Synagogue is a gathering place and is open to everyone, regardless of religious affiliation,” said Mazor-Posner. “Created with love and purpose by so many different hands, the new Torah is truly an extension of our community.” Dedications can still be made after the December 9 event. Please contact Tanya Mazor-Posner at 414-721-9260 or tmazor-posner@ovation.org. The post Creation of New Torah Unifies Community appeared first on Ovation Communities. Ovation employees make a difference in the lives of residents and their families every day. In order to continue to provide the best care, our communities strive to offer the best possible work environment. In August, Ovation opened a new employee center at Ovation Jewish Home. The center is versatile, offering different amenities to accommodate the varying ways employees may want to use the space. While one room serves as a place to socialize and eat meals, another provides a space for respite. In addition to comfortable seating and desks to work at, there are docking stations for employees to charge their phones, and a lactation room, which is also used as a meditation space. “We want to make sure our employees have a place to relax and rejuvenate, and take a well-deserved break,” said Marlo Graceffa, Director of Human Resources and Organizational Development. Like the rest of the community, the facility is art focused, showcasing artwork created by Ovation’s own employees. “We have several employees who are so talented, and we’re excited to offer this new opportunity for them to display their art, and show another side of them we normally don’t see at work,” said Graceffa. 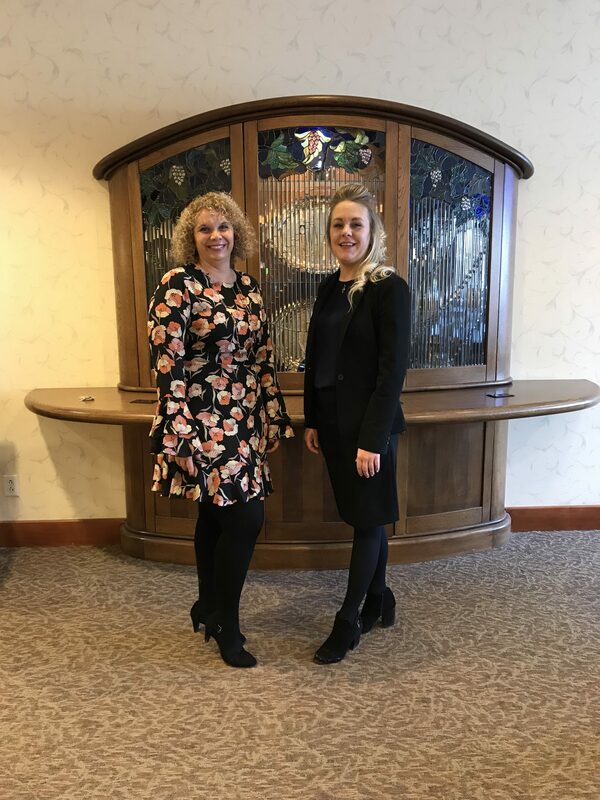 Ovation also kicked off a new employee wellness program in September, working closely with wellness coach Sara Fox Reilly, who visits one of Ovation’s communities once per week. Moving forward, each community plans to begin goal-oriented check-in programs and walking clubs. The post New Employee Center Promotes Health & Well-being appeared first on Ovation Communities. A new sculpture exhibit was unveiled at Ovation Sarah Chudnow on June 10. 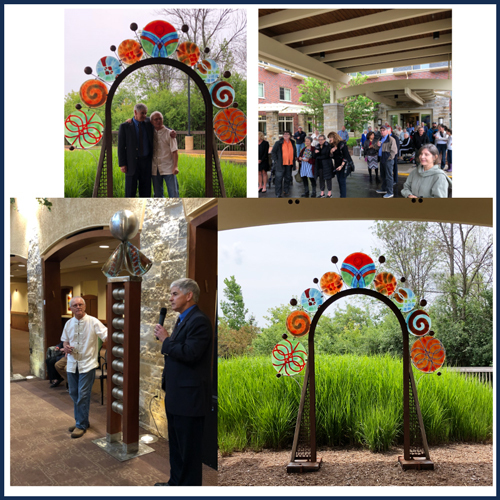 The exhibit, “Steel the Light,” by Wisconsin artist Joel Pfeiffer included the unveiling of his newest sculpture “When Spirit Speaks” the first in his new GATEWAY series. Pfeiffer’s recent sculptures are an exploration of how light, color, steel and glass can be melded together in new and unexpected visual delights. The sculptures capture both the eye and “steel” the light, holding them for conversation and thought. Pfeiffer’s sculptures came to Ovation Sarah Chudnow on May 25 and were on display until July 17. On June 24, Ovation Sarah Chudnow hosted a Gubernatorial Forum in partnership with Grassroots North Shore. The seven top-polling candidates for the Democratic nomination for Governor responded to a wide array of questions and issues facing our community. The crowd was standing room only, with over 230 community members in attendance. The post What’s Happening at Ovation Sarah Chudnow appeared first on Ovation Communities.